Some county jails in Tennessee are now providing long-acting, reversible birth control to inmates who request it. Although the program is, as far as we know, entirely voluntary, it’s being framed as a controversial choice by a local news station, which insinuates that it’s a waste of taxpayer money. On Sept. 23, women in handcuffs filed into a regional health center in Putnam County. Local deputies transported the group from and to the Overton County Jail. Less than two hours later, the women walked out with birth control implants, the I-Team discovered. The inmates are counseled on birth control methods close to their release dates, according to the piece. The segment was produced by WSMV’s investigative team, which looks at “corruption, misuse of taxpayer dollars, criminal activities, scams and dangers to the Middle Tennessee region.” The birth control program is, that we know of, none of these; it’s an attempt to respond to the epidemic of drug-dependent infants born in the state. The majority of NAS babies in Tennessee are on Medicaid. The same research found that they’re also more likely to end up in foster care. A study published in May in the Journal of Perinatalogy found that the highest incidents of NAS—16.2 babies born with the condition in every 1,000—happen in the southeastern United States, including Tennessee, Kentucky, Mississippi and Alabama. The Centers for Disease Control found that’s also where the highest rate of painkiller prescriptions are located. The math here isn’t hard. WMSV seems scandalized by the program for two reasons: the concern that it may not be voluntary, and because taxpayers are paying for it. The first one is a good and reasonable concern, because forced sterilization of female inmates is a real thing: an investigative report last year found that the California Department of Corrections and Rehabilitation sterilized 150 female inmates between 2006 and 2010, some of them illegally and without consent. But the WSMV segment itself acknowledges that the female inmates in Tennessee’s county jails aren’t being sterilized. They sit through educational classes at a local health center on the dangers of NAS before being given the option to get a Nexplanon implant. In some cases, taxpayers do help fund the costs. At county health departments, a patient’s income and insurance determine how much he or she pays. In Tennessee, federal funding covers most family planning services. “Patients with the lowest income may receive services at a very reduced or no cost, depending on their income relative to the sliding fee scale,” said Shelley Walker, a spokesperson for the health department. The health department prices the implants at $632.75. 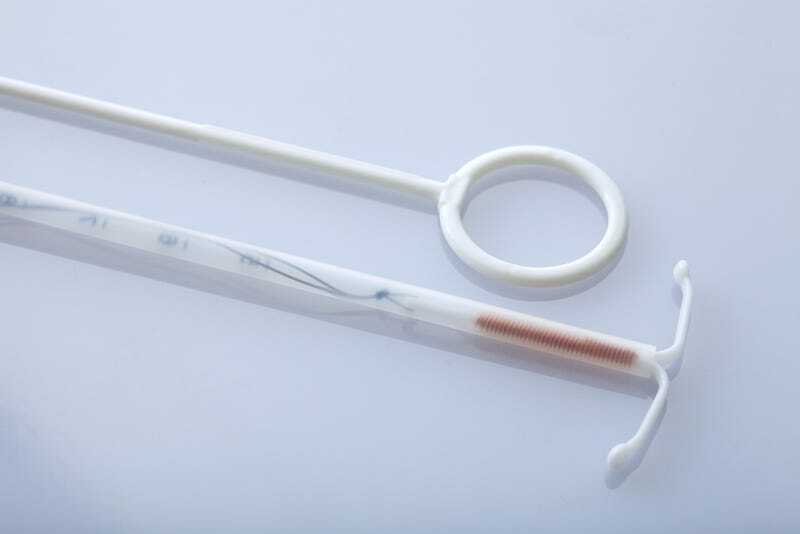 An IUD is priced upwards of $681.35. According to TennCare, it costs $44,000 to treat a baby with NAS, based on 2013 data. “I suggest they do the math,” Slone said. WSMV even got a quote from the head of a local Planned Parenthood affiliate, who called the program “paternalistic” and “classist.” Unless these inmates are being forcibly implanted with IUDs—and again, there’s no evidence here that they are—this actually seems like a reasonable public health measure, half-heartedly inflated into a minor scandal for ratings’ sake. Correction: An earlier version of this post incorrectly stated the implants being offered in the jails are IUDs; they are Nexplanon implants. I regret the error. If you have ever spent time in a county jail where you were offered birth control services, email us.